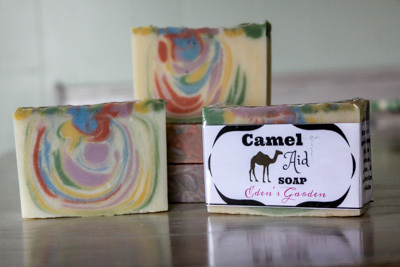 Eden's Garden-This stunning bar of soap is not only excellent for your skin, but it looks great too! It is high in essential vitamins and nutrients and it has a nice moderate to high lather. It is actually quite silky and can be used for face and body. It's floral fragrance is simply delightful!